If your firm is a large business federal contractor does it have a small business program policy and procedures manual and an assigned small business liaison officer (SBLO)? Two of my earlier posts dealt directly with the Establishment a Small Business Program and Small Business Utilization Surveillance and Reporting. To continue the theme, this post deals directly with the content and benefits of a policy and procedures manual for a federal contractor’s small business program. One of the central reasons for implementing a policy and procedures manual is to provide your federal contracting team with the guidance, knowledge and resources to lead and manage a successful program. In addition, it can elevate your firm’s small business program from maintaining baseline compliance to a comprehensive small business program that establishes key performance indicators for those leading and working with your federal contracting team. This is the first step in pursuit of being awarded the Dwight D. Eisenhower Award For Excellence – the SBA’s award for large prime contractors that have excelled in their utilization of small businesses as suppliers and subcontractors. The main purpose of this post is to provide a few examples of the content that should be included in your firm’s manual and generate a few thoughts of what you think are relevant. That said, this post is not a manual on the theory, structure, and format of drafting a policy and procedures manual. (There are a number of great resources available to address those concerns.) While many business share similar characteristics, such as business type, location, or market each firm is unique and must tailor the manual to fit its needs. 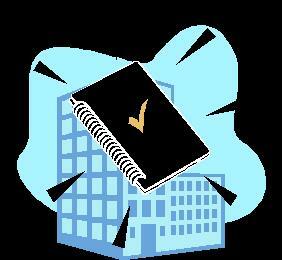 What should a policy and procedures manual for a small business program office contain? The CEO’s vision, intent, and policy letter articulating his or her intent. This will allow the team to operate effectively and efficiently with minimal supervision. The mission statement for the small business program. An organizational matrix and narrative outlining the small business team and its relationship to the company’s leadership and other departments. This is helpful because you may be asked to provide this during an audit. Federal subcontracting guidelines and definitions. A description of your firm’s ongoing small business outreach efforts. For example, what events, conferences, or functions centered on boosting small businesses does your firm participate in regularly. Guidelines for your firm’s participation in Mentor-Protégé Programs. Internal and external training programs on small business. The small business team will be able to operate more effectively and efficiently. Compliance efforts will be reduced. Streamlined integration with other departments. Potential gains in small business utilization. Stronger relationships with the small business community and potential long term strategic small business partners. There are a number of styles and approaches available to help you develop a policies and procedures manual, but the first step along the journey is to identify what is needed. The manual should be a living document that can mature as your company refines its processes. In addition, through the process of drafting the manual you will identify and correct processes and procedures that need improvement. I have drafted compliance guides for clients which turned out be an enlightening experience. Particularly during the interview process, clients realize there are weaknesses in their program that can have a negative impact on their small business program. When you are ready, you can tackle the completion of your firm’s federal contracting policies and procedures manual addressing the full spectrum of contracting matters.